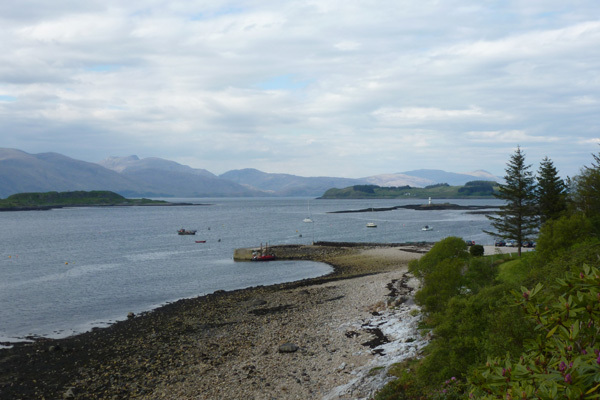 A lovely short coastal walk along a promontory at Port Appin. 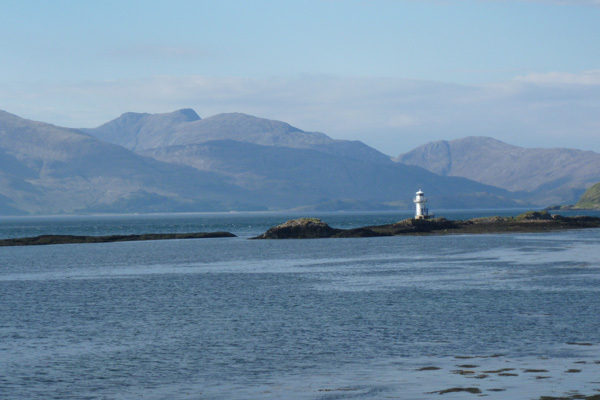 Good views are afforded of Loch Linnhe, the Lynn of Lorne, the Isle of Lismore and the distant hills of Morvern and Mull. 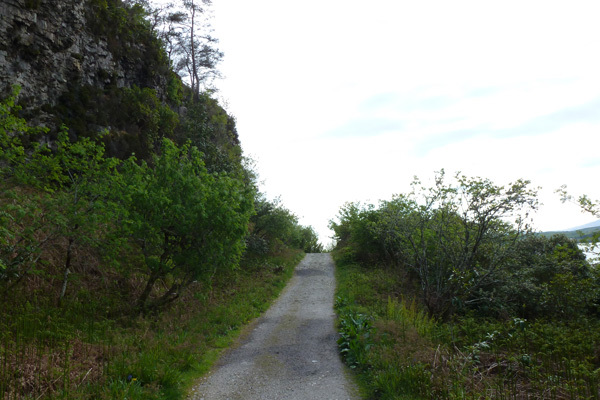 The walk initially follows a gravelled track along the coastline, with cliffs to the left. 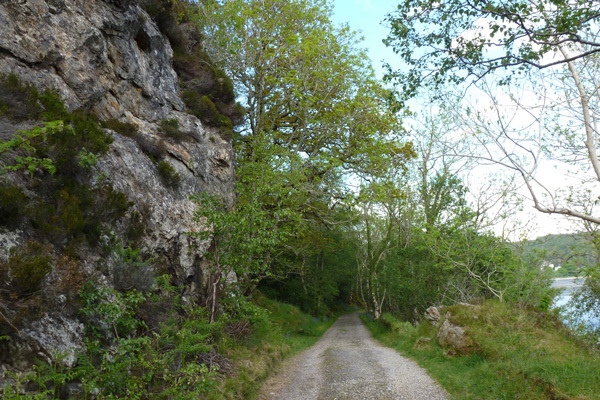 The track is lined with ash, sycamore, birch and rowan with a ground flora of bluebell, bracken and greater woodrush, whilst the cliff/headland support clumps of Scots pine and rowan, with heather, greater woodrush, bluebell and wood sage clinging to the shallow ledges. Further along, there are some lovely sections of mixed deciduous coastal woodland, consisting of birch, oak, hawthorn, ash, rowan, willow, beech, holly and sycamore, with some fine specimen trees. The ground flora consists of bluebell, greater wood rush, yellow pimpernel, bugle, meadowsweet, bilberry, greater stitchwort and pignut. There is an opportunity to take a detour to explore a small section of shingle beach. The coastline is riot of colour in Spring and early Summer, with pinks of thrifts and lesser sea spurrey, yellows of bird’s foot trefoil and silverweed and the whites of common scurvy grass. Further inland, gorse, bluebell and bilberry provide additional splashes of colour. 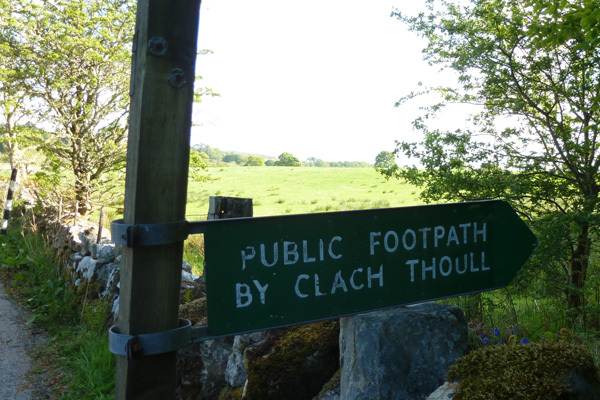 Look out for the geomorphological landmark, Clach Thoull, a raised natural rock arch developed along a dipping fault plane in the headland. 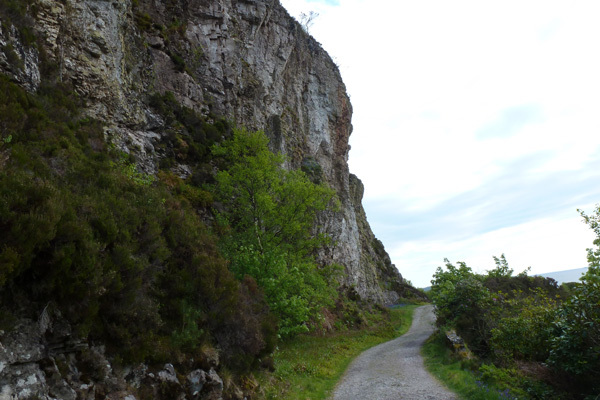 The Gaelic name means ‘hole in the rock’. The bedrock geology is quartzite (Appin Quartzite Formation) formed from sedimentary rocks by low grade metamorphism. 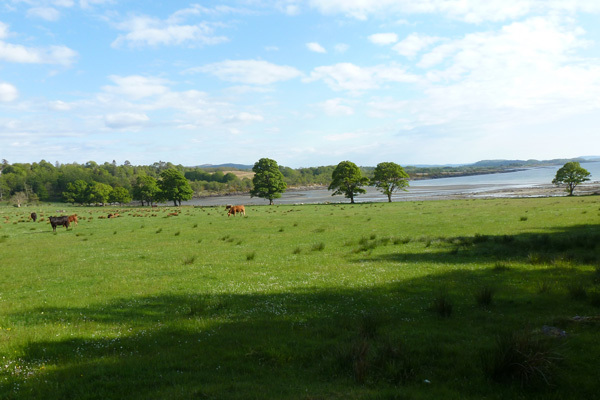 There are also some superficial marine deposits and glacial tills, and a raised beach at Port Appin. Look out for a range of sea birds and waders along the coast, as well as otter, seal and, if you are lucky, cetaceans. 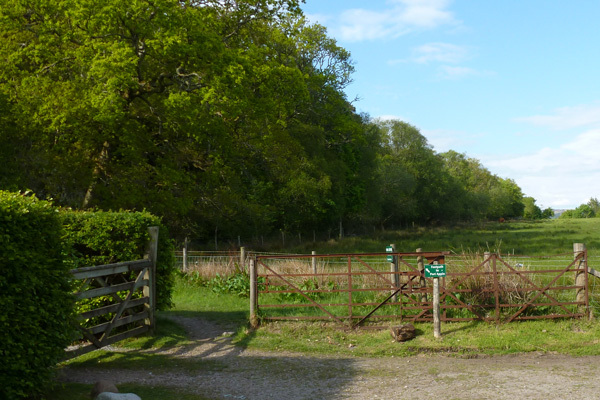 Listen out for woodland birds, including cuckoo and warblers in Spring and Summer. 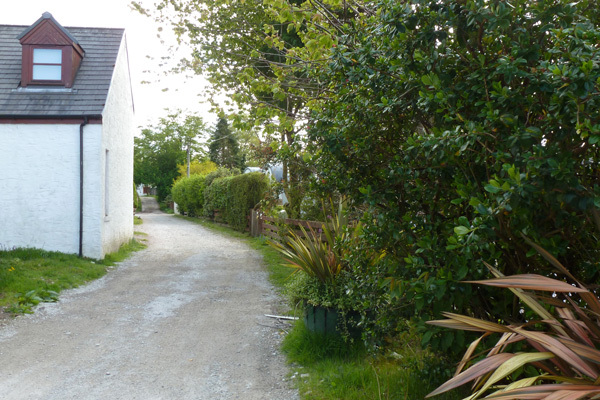 Park in the car park by the passenger ferry terminal for Lismore and the Pier House Seafood Restaurant at the end of the minor road to Port Appin. Take the track by the houses as indicated by the public footpath sign. The track shirts around the coast affording some lovely views of Loch Linnhe, Lynn of Lorn, Lismore and the Morvern hills through gaps in the trackside vegetation. Pass through a metal gate and then by a bench. The latter offers some good views over of Loch Linnhe and Lismore. 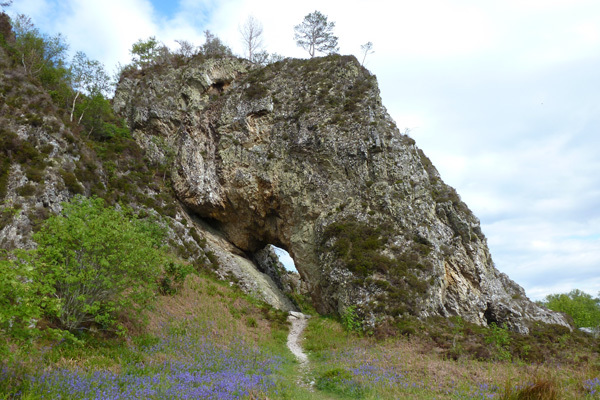 Shortly after, a natural rock arch, Clach Thoull (‘Hole in the Rock’), comes into view. 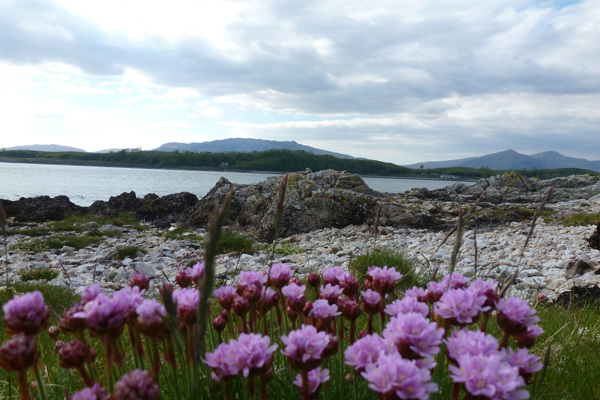 Just before you reach the arch, take a short detour onto the path to the right to explore the coastline for some fine coastal views of Lismore and the hills of Morvern and Mull. Take time to explore the coastline and then return by the same route. Pass by the arch and continue along the track as it skirts Airds Bay, passing by some caves and lovely coastal fringe woodlands, with some fine specimen trees; the cliffs are topped with Scots pine. 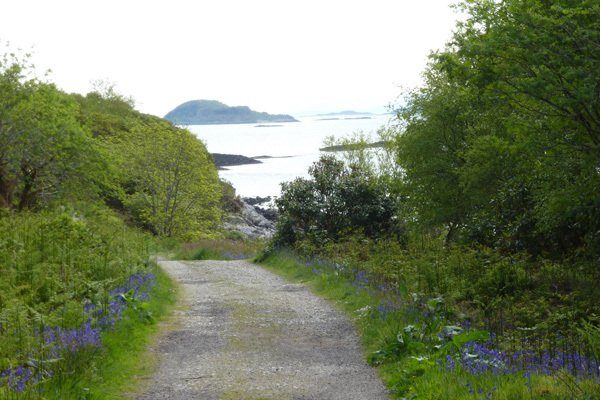 At the end of the Bay, pass by a white cottage on left and take the route as signposted passing through a gateway and following a small path to Port Appin. The path skirts by the cliffs and a small stream on left, with a field on the right. 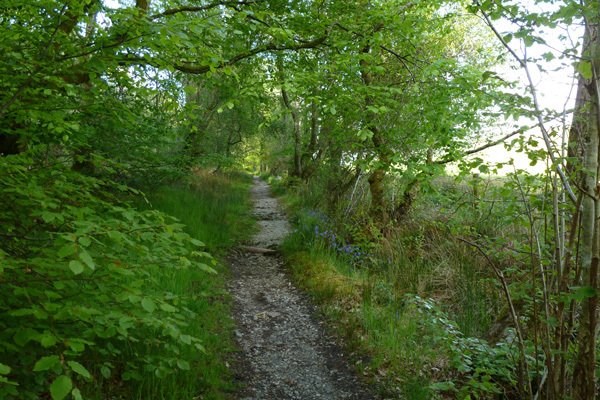 This is a lovely tree-lined section of the walk, awash with bluebells in Spring. 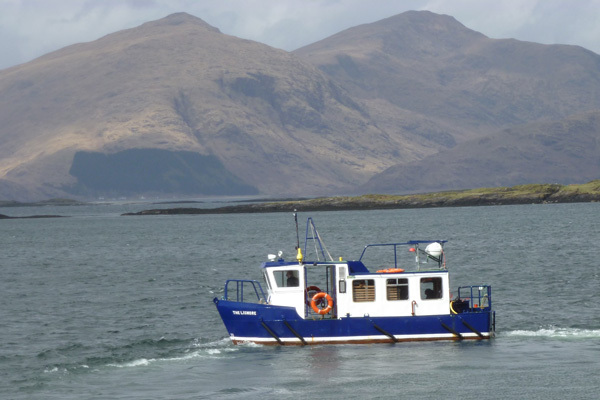 Look back on occasion for some fine views of the Airds Bay. At the end of the path, pass through a metal kissing gate and turn left. Walk back along the minor road back to the car park. Keeping left following the sign to Lismore ferry. 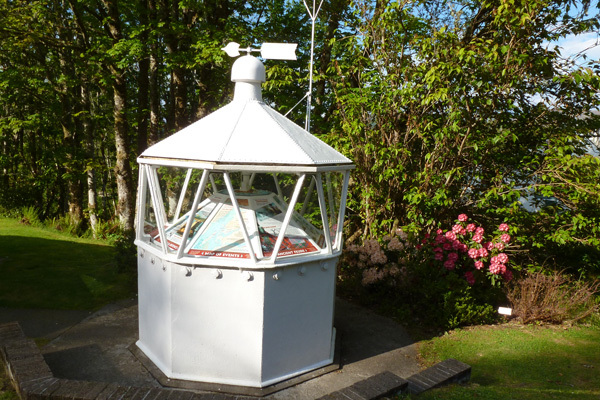 Pass by the old lighthouse lantern (now an interpretation exhibit) and the village hall in Port Appin. Continue passed some houses, the village store and a gift and craft shop (that also serves teas) until you reach your start point. There are some more lovely coastal views, including views of the replacement automated lighthouse.